Un nuevo espacio, en el centro de Barcelona, especializado en vinos y cavas catalanes de pequeñas producciones. 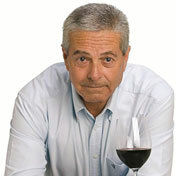 · I started journalism in 1975, focusing on the fascinating world of wine. In my career I have made regular contributions in pioneering magazines such as "Food and Wine", "Vines and Wines", "Food & Wine" and "Bouquet", among others. · In 1980 I started a specialization in the world of sensory tasting through collaborations with reputable French and Spanish companies. · Co-producer on several food and wine programs in Cadena COPE and Onda Cero Barcelona Catalonia, along with a weekly wine column in El Periodico de Catalunya and the newspaper Avui, among others. · Linked from the beginning to the Spanish sommeliers in the foundations of the regional associations, and editor of the monthly "Voice of the Sommelier". · Editorial Director of the Encyclopedia "Larousse of wines of Spain" and "Larousse Wine World" to Spanish-speaking countries, 1998 edition. · Drafting Committee of the World Encyclopedia "Knowing and Choosing the Wine" and the World Encyclopedia Salvat, both from Salvat-Hachette Group (France), in editions for Spain and Portugal, 1999 edition. ·Author of "The Book of Wine - Guide for tasting wines of Spain" and "The Book of Wine - Tasting Guide for• Author of "The Book of Wine - Guide for tasting wines from Portugal" for Graf Publisher Printer Ind.. for Ediciones Primera Plana (Zeta Group), 2000 edition. ·Director and Technical Advisor in drafting the encyclopedic "Wine", "Wine" Editorial Koneman (Germany) for Spanish speaking countries in the 2001 edition. ·Co-author of the management book "The 5 Senses of Sales" Ediciones Granica for Spain and South America, 2006 Edition. ·Editor and collaborator of the Editorial Group El Mundo on the collectibles "Journey through Spain Wine", "Beer" and more recently the collectible "Wine Routes of Spain", 2007 edition. · From 1992 and continuously until 2007, I was part of the external committee drafting the magazine Food & Drink (Hymsa-Edipresse Group) and from 2000 until 2011 in the magazine Lecturas Cocina (RBA Group), and since 2009 I collaborated in the Supplement Gourmet's of El Periodico de Catalunya. ·Member of the Spanish Tasters Union. ·Classroom Training Director of the Cercle Català de Tastadors and member of the Board. ·Executive Director Sensorial Espai Group, sl- a company specialized in the production of food and wine events. ·Enologic Advisor in Enologic World S.L. .; Specialist service and online wine trade company, founded in 2013 ..
· I held various national and international titles and awards, most recently the "Best journalist specializing 2012" by the Catalan Association of Sommeliers ".